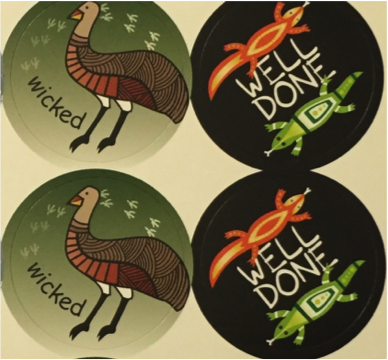 Vibrant colourful Aboriginal incentive stickers. 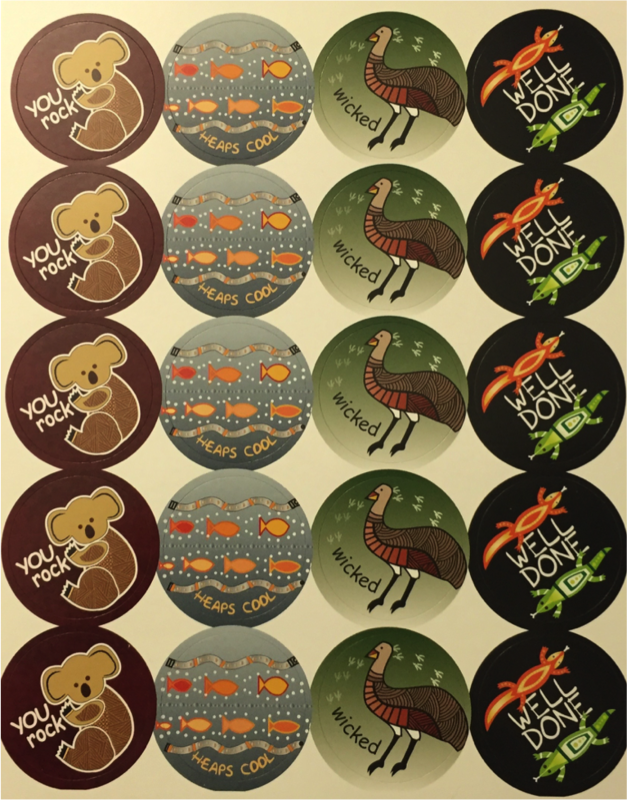 The perfect way to rewards children of any age and give them an incentive. 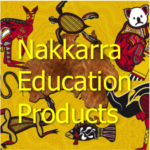 Great for classrooms, community groups, at home with the family or anywhere. 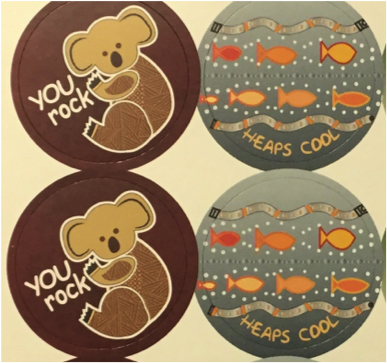 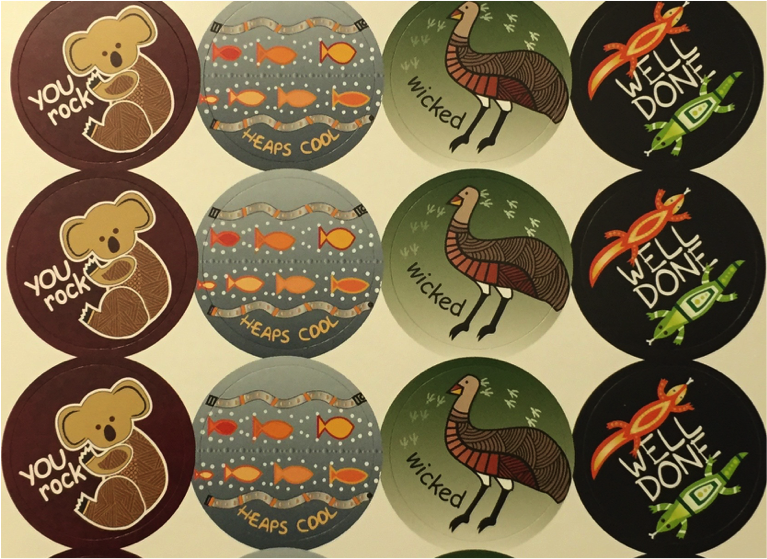 Series two stickers are designed by South Australian Aboriginal artist Greg Hodgkinson and include a koala, emu, lizards and fish which include some contemporary Aboriginal designs throughout the artwork.